Why do we crave light, fresh salads in spring, refreshing fruits and high-energy carbs in summer, and heartier, fattier fare in the fall and winter? There are greater things at work than the whims of appetite. The benefits of eating for each season are often aligned with what our bodies intuitively crave. In fact, the rewards of syncing the foods we eat with nature’s well-timed offerings results in improved digestion and increased energy. Now we gear up for the subtle shift into fall. The period between summer and fall is a time of transition. As we get back into a more regimented routine, we look to foods for renewal, recharging and rebalancing. In many ways, fall can be the most fun — offering a grab-bag of whatever the end of summer brings, and a natural craving toward heartier, more warming foods. The best plan is to pay attention to our body and the temperature outside as we transition to a colder season diet with the weather. When it gets brisk, move from grilling outdoors to roasting and baking in the oven and add in those starchier fruits and veggies as well as hearty grains and soups. “Slow-release complex carbs allow for sustained activity, less inflammation and quicker recovery. 1. Boost your overnight oats with a fall fruit compote by cooking up some apples or persimmons with cinnamon, vanilla and fresh ginger. 2. 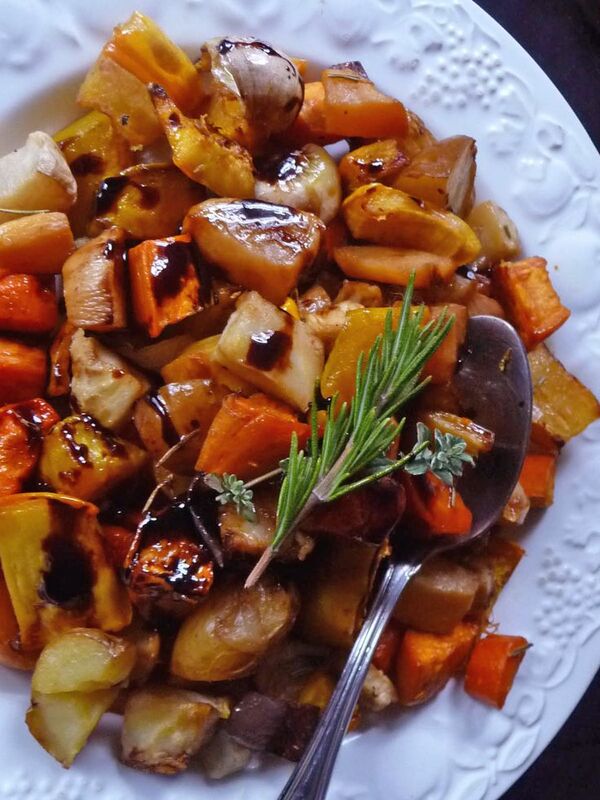 Roast squash, root veggies and tubers. Chop up a palate-pleasing mix of any roots you have – potatoes, carrots, turnips, parsnips, celery root, rutabaga, orange beets, onions – and place in the oven. Toss in some wilted spinach or chard and serve. 3. Turn your dishes into intriguing flavor bombs without adding calories by cooking with earthy fall spices and herbs. Try Aleppo pepper, cinnamon, nutmeg, cloves, sage and rosemary.